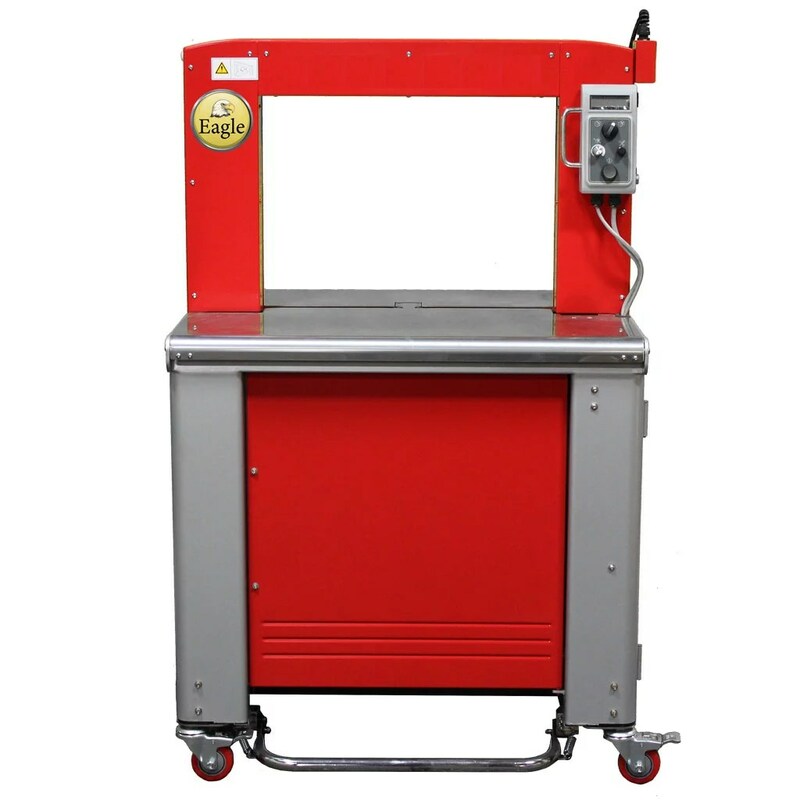 Packaging Equipment - Berran Industrial Group, Inc. 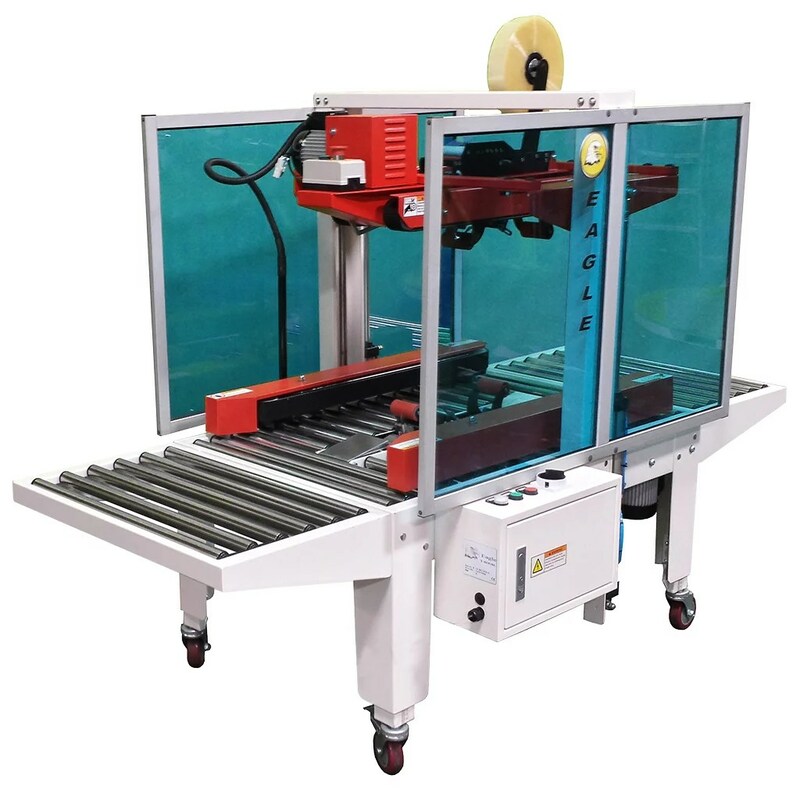 Through the years, Eagle packaging machines have been used in different types of industries. 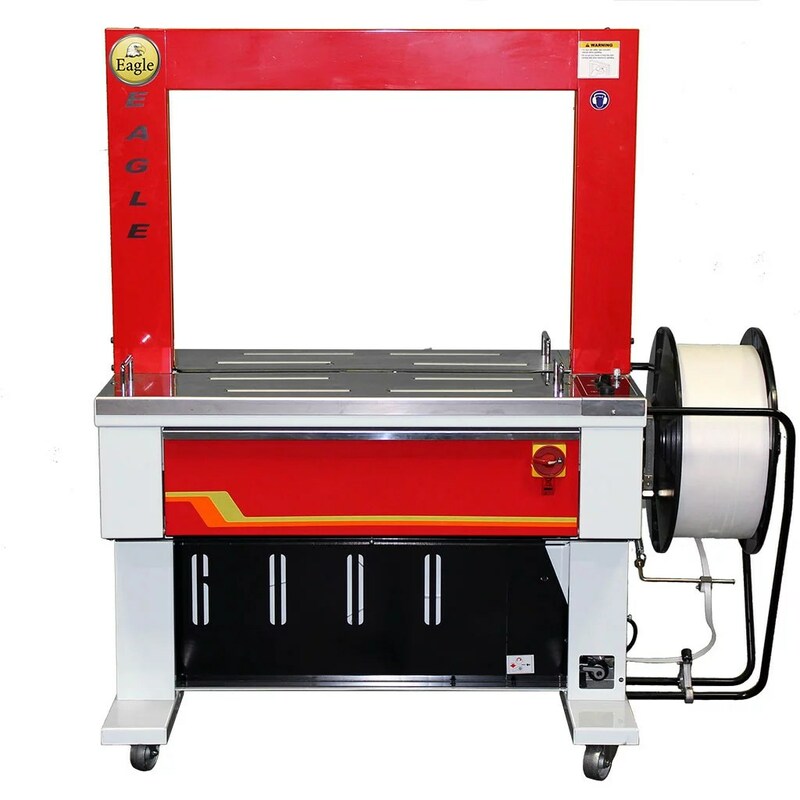 Some of these include automotive, toy wood, steel, medical, golf, food processing and many more. 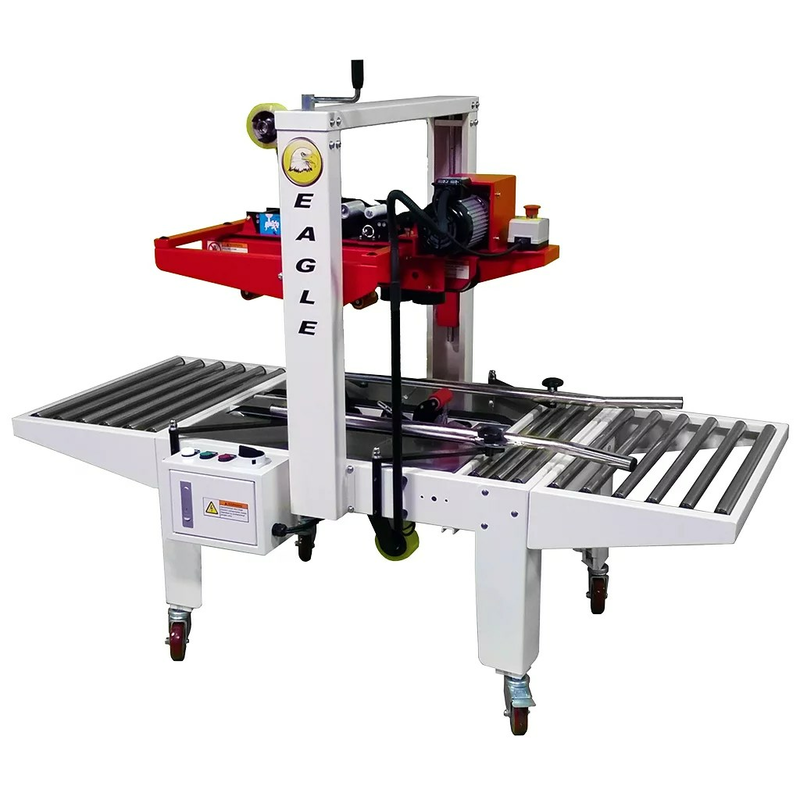 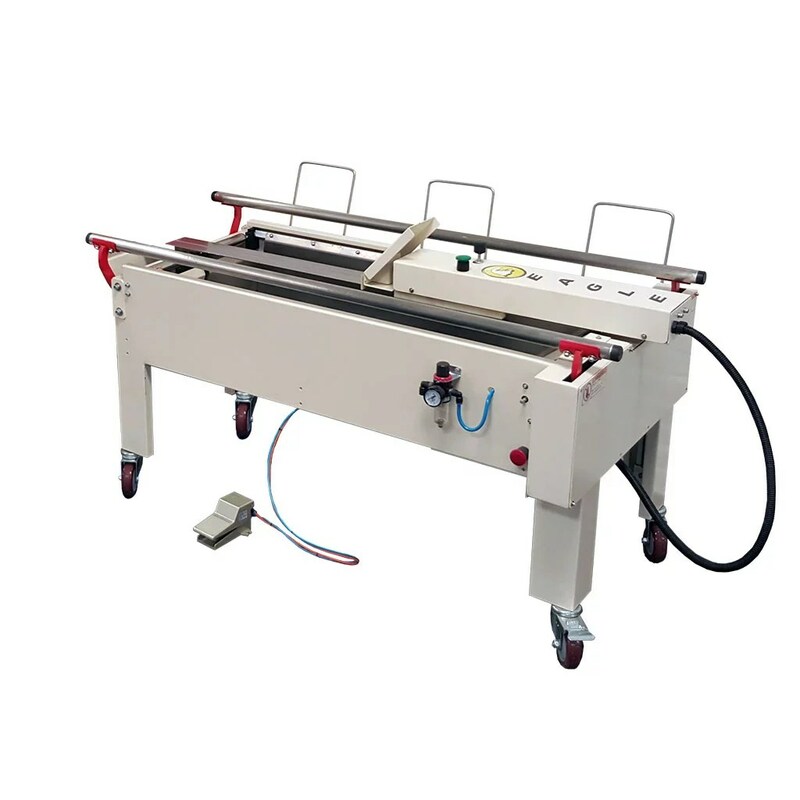 Eagle machinery’s quality and prices are the best in the market that range from the Eagle T100SM that can tape a very small package to the Eagle T500 with automatic top flap folders. 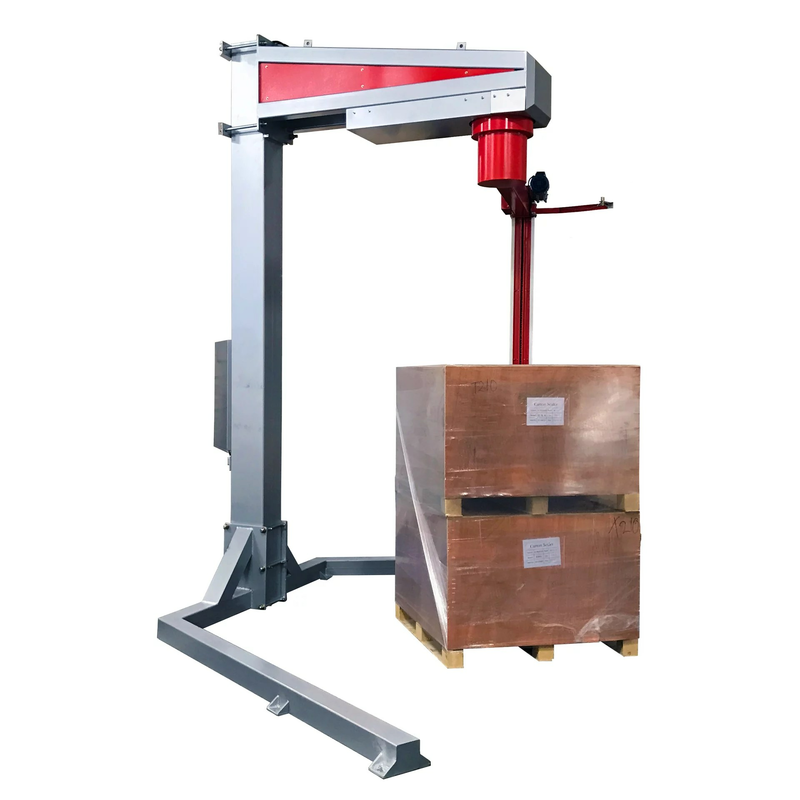 The Eagle stretch wrappers have proven that they have the lowest cost per pallet wrapping capability available. 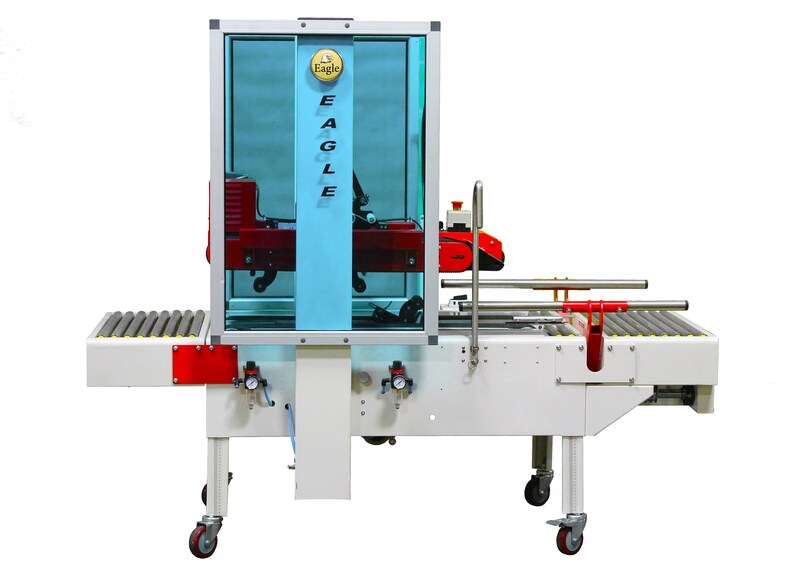 To conclude, these machines are researched and studied to ensure they will be the best value available. 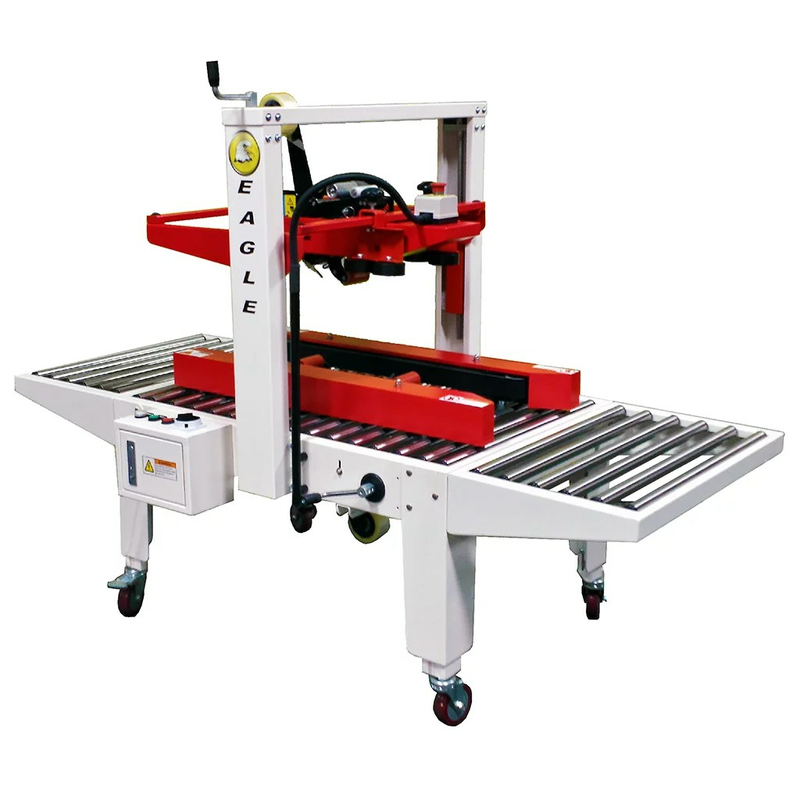 The Eagle line of stretch wrapping machines provide the lowest operational cost options available. 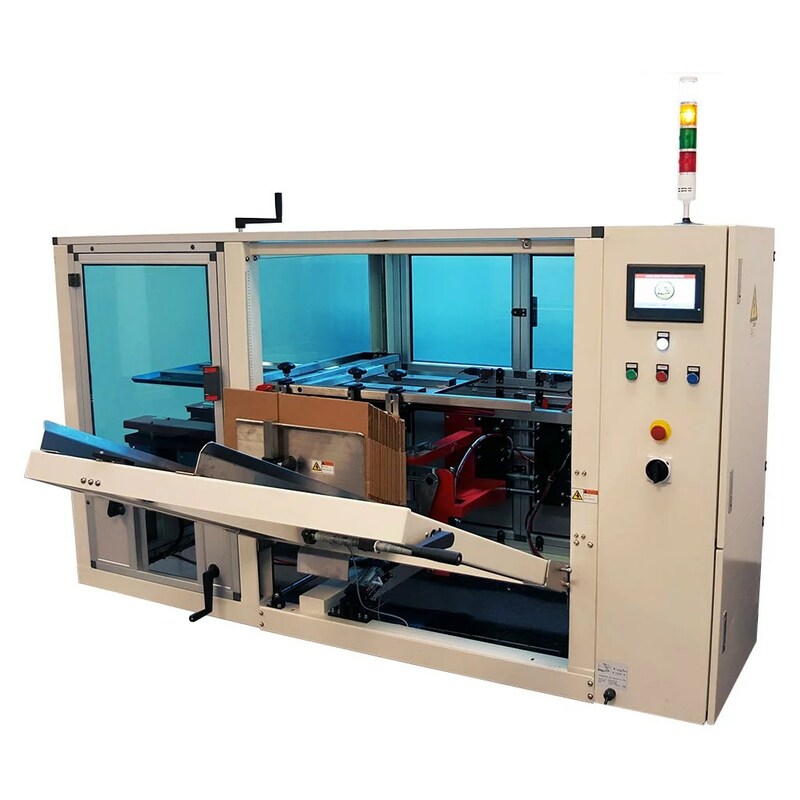 Units with a powered pre-stretch film carriage offer up to 250% film pre-stretch. 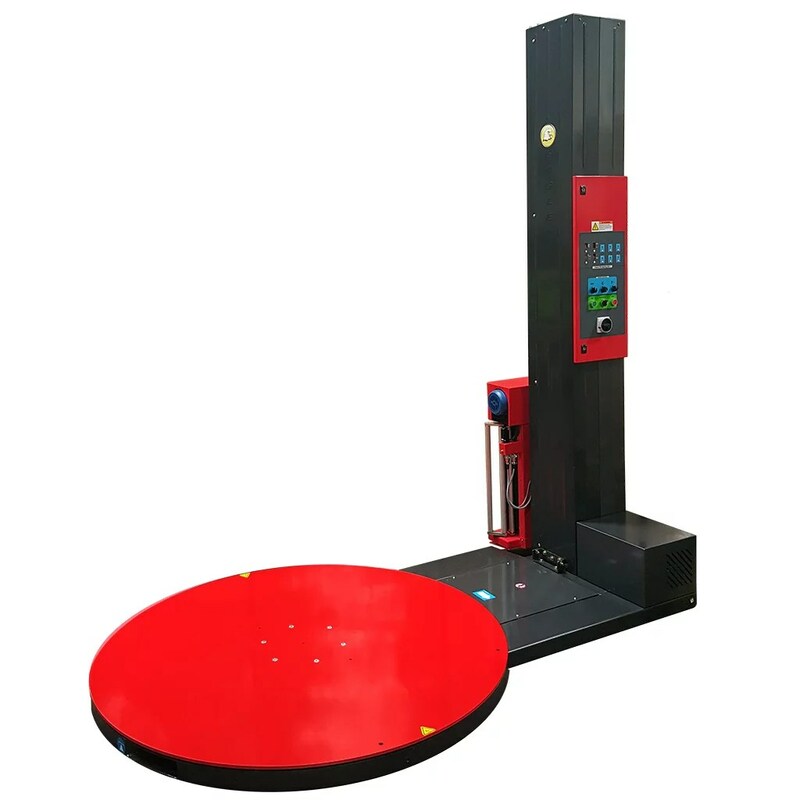 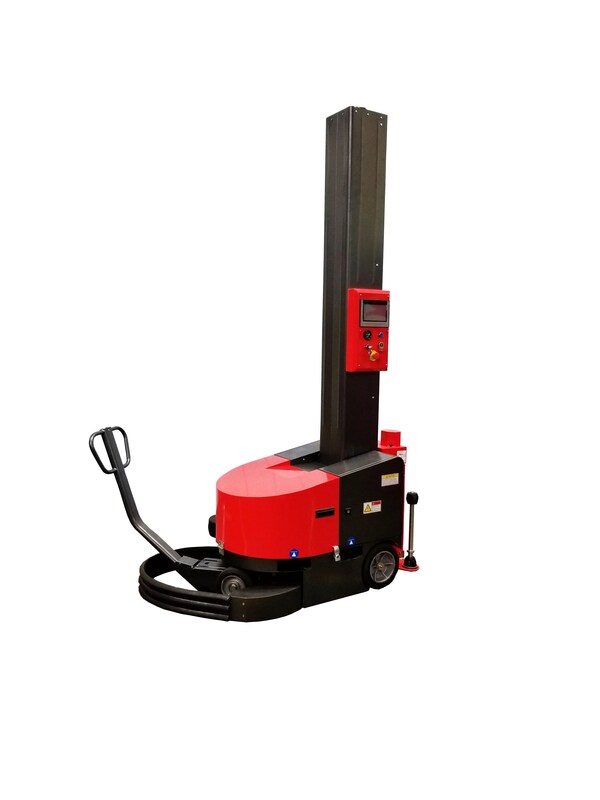 All models feature an automatic load height sensor with optional digital laser sensors for use with dark or glossy loads. 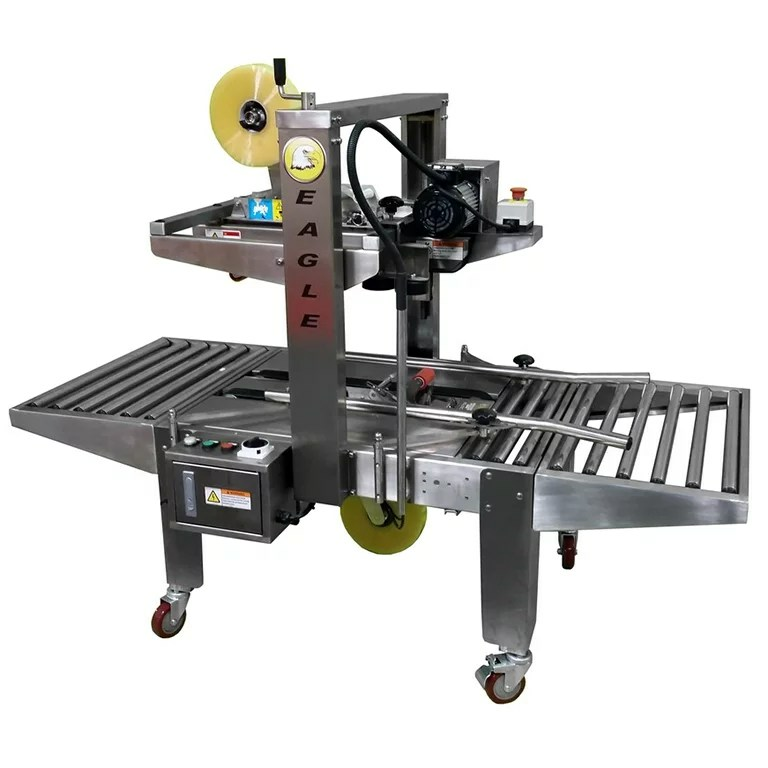 Eagle carton sealers come in a variety of configurations and can accommodate cartons as small as 3" and as large as 24". 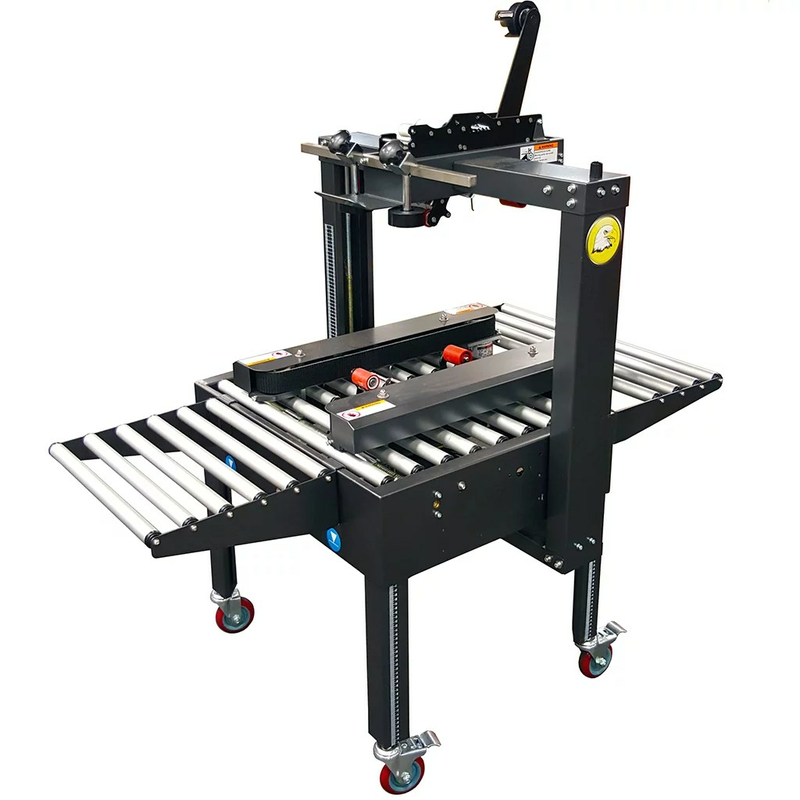 Features include drive belts, top and bottom tape heads, flap folding and industrial grade rollers. 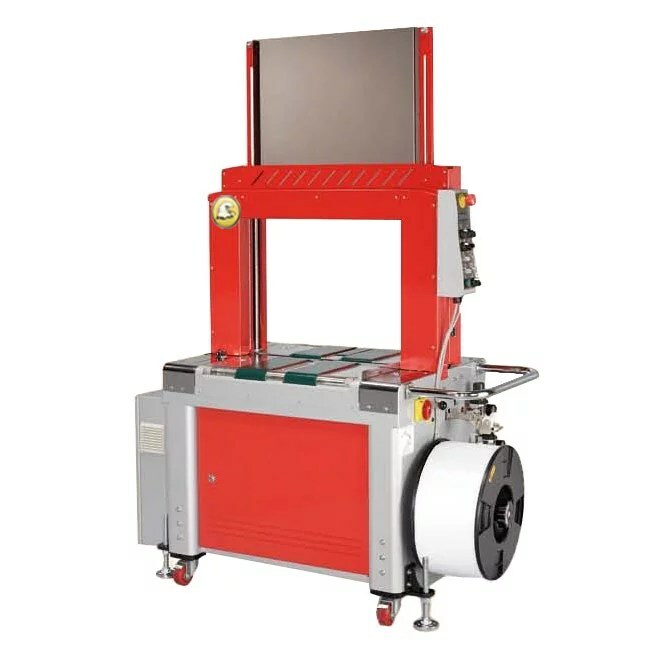 Carton sealers are available in powder coat or stainless steel. 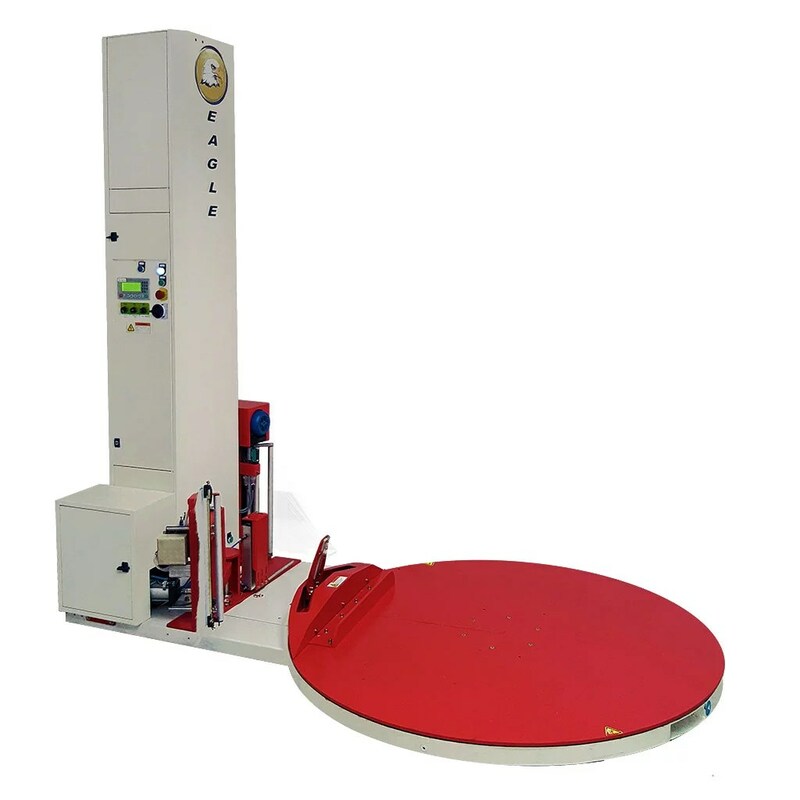 Our carton erectors can be either stand-alone units or combined in series with Eagle carton sealing systems. 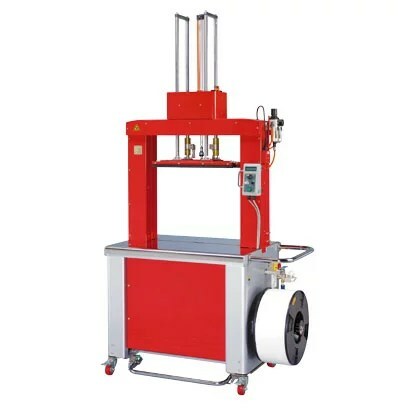 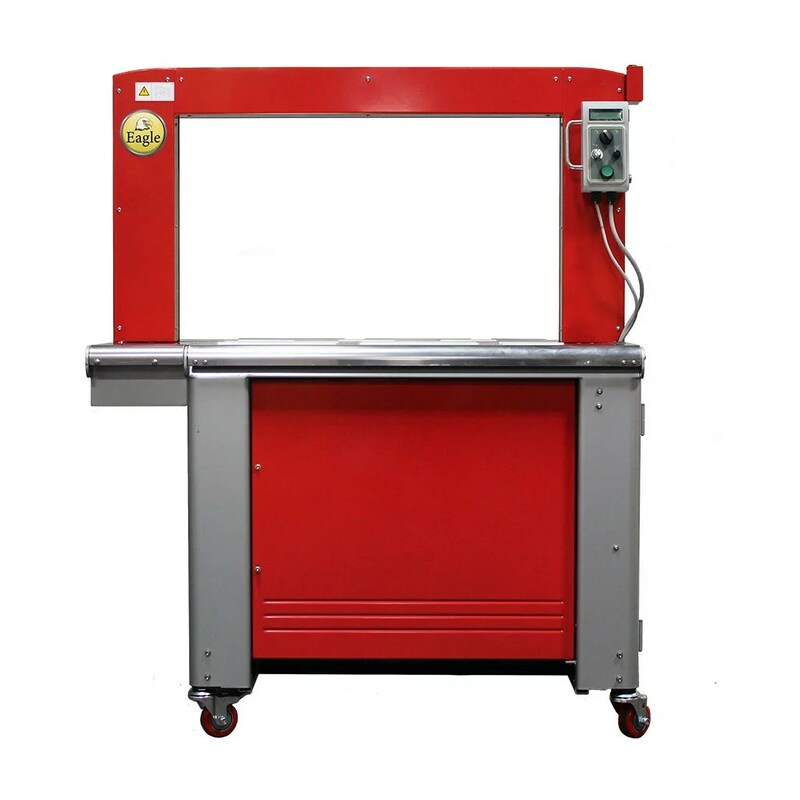 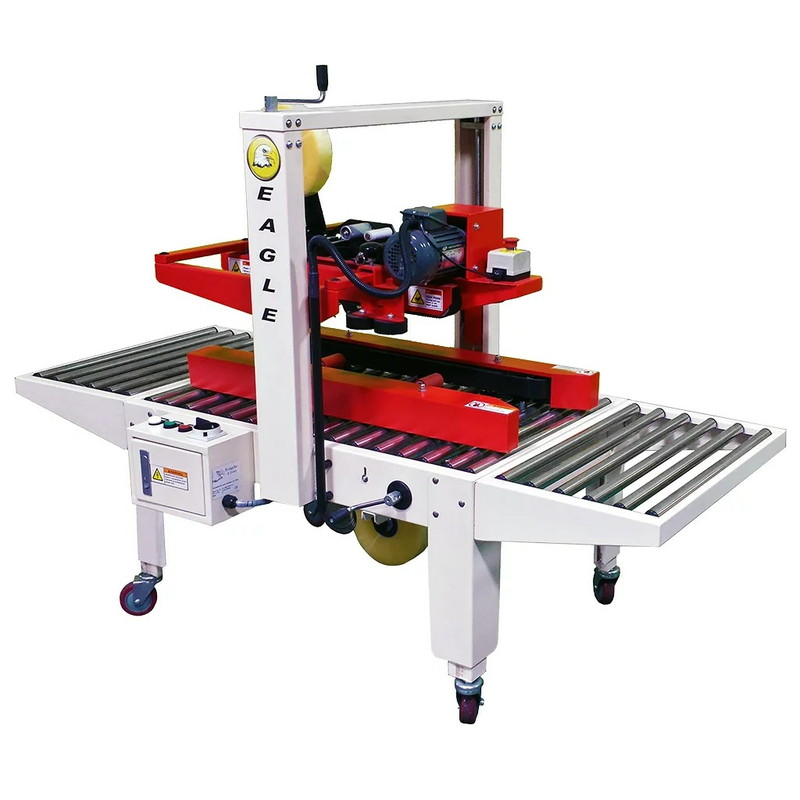 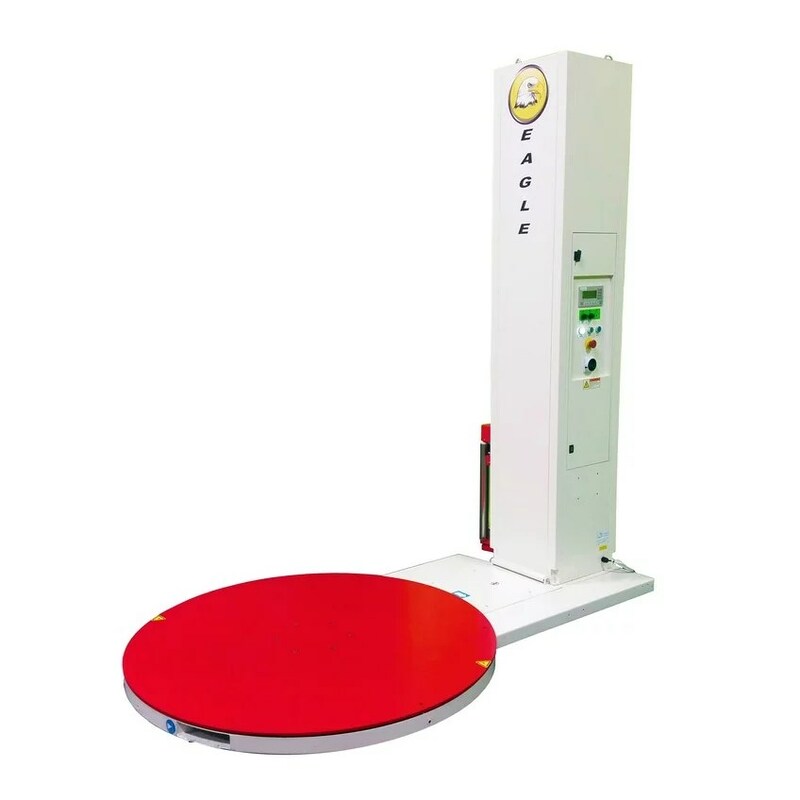 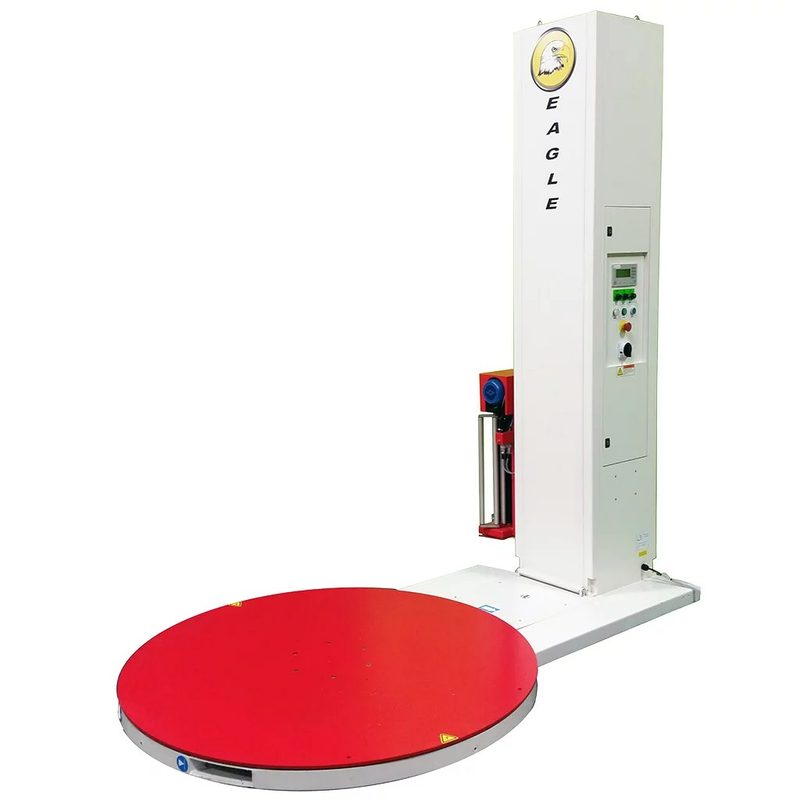 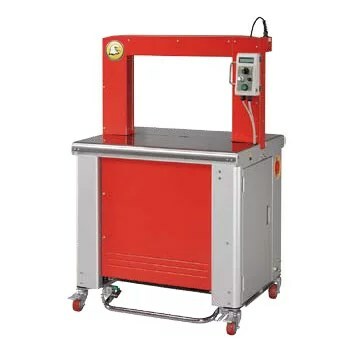 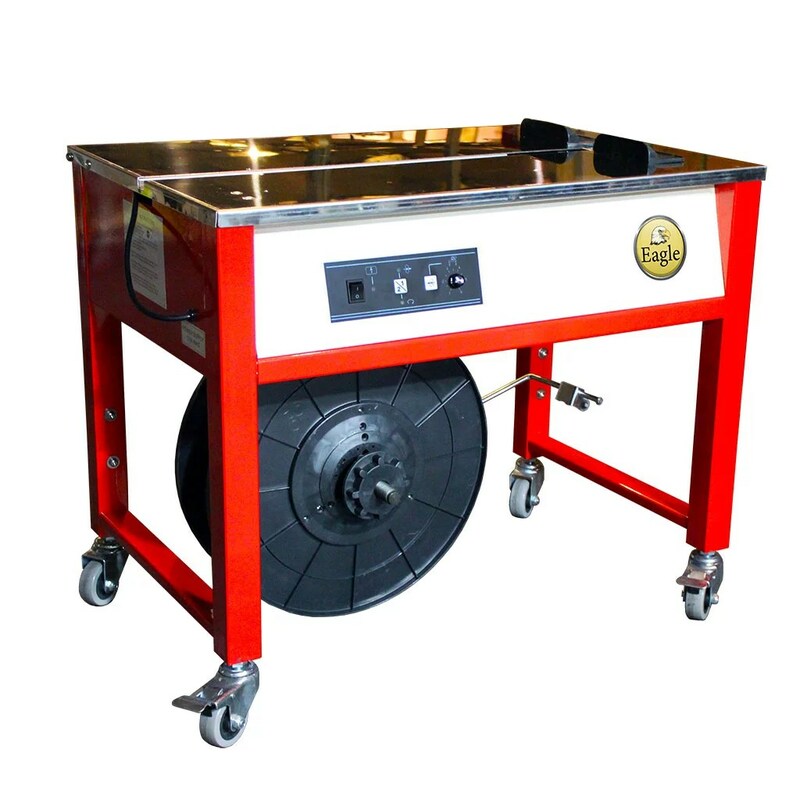 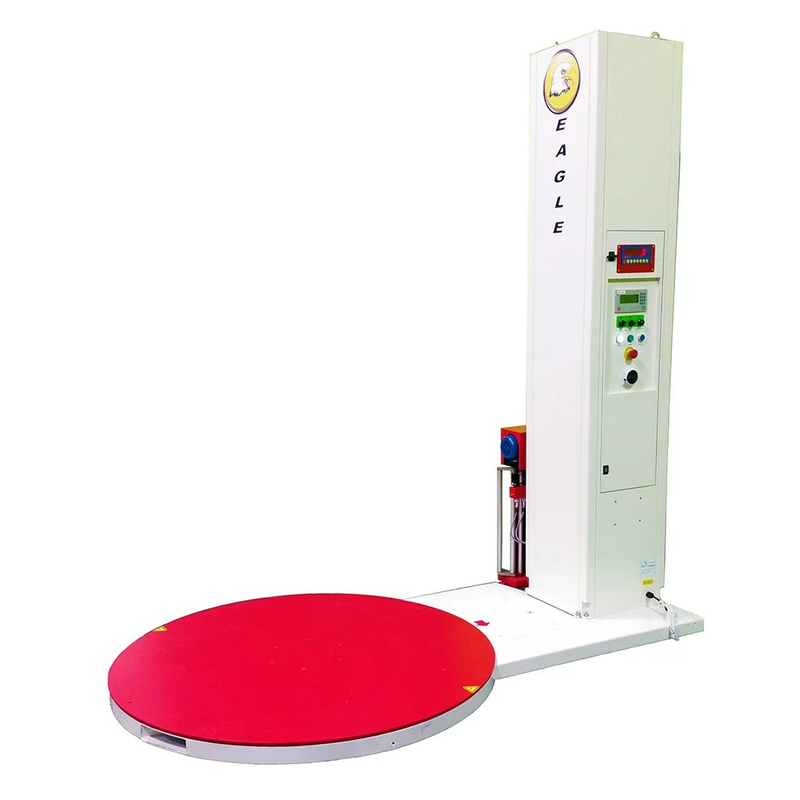 Eagle strapping machines are available in arch or tabletop layout.